There’s a little piece of heaven in North Georgia—Gibbs Gardens—located in the hamlet of Ball Ground. 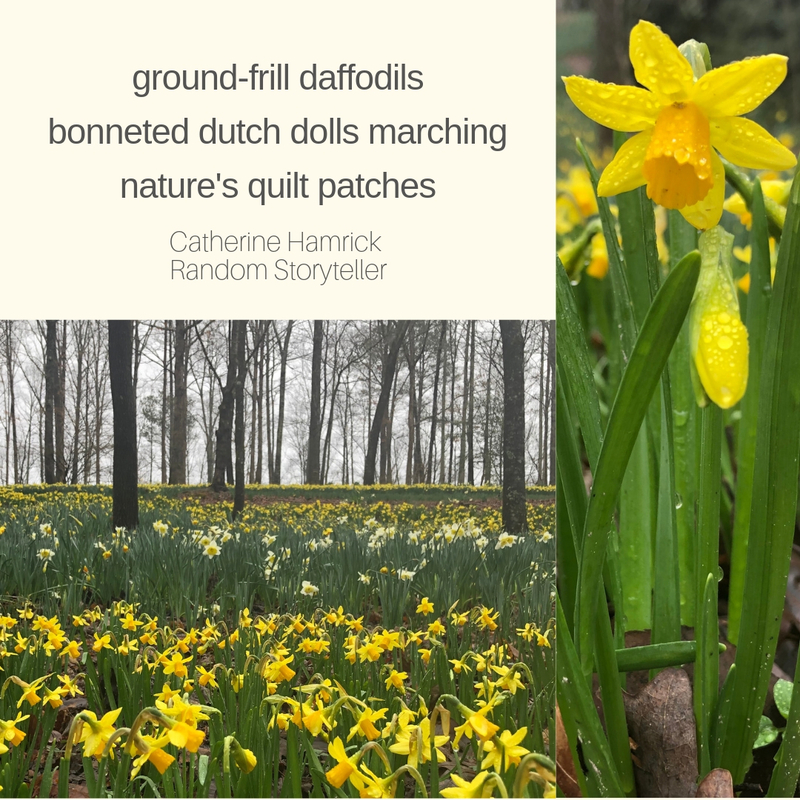 Wave upon wave of daffodils bloom in fields and along trails in March and April. Even on a gray, rainy day, sunshine breaks through, from the ground up, inspiring words. Anyone on the hunt for haiku images will find treasure in this daffodil sea. Welcome, March! Thanks so much for commenting. Daffodils are a great wake-up call after winter doldrums. Hope all is well in your world! Still thinking of putting a book together? Yes, it is book mapped. The proofreader is reviewing, and then it goes to layout! I’m planning for a soft release later this spring. I’d love to send you an early copy. And I’ve written part of the second collection.